1904 – William A. Hankins offers 5 acres to establish a school from his 160-acre homestead claim located between Berthoud and Loveland, Colorado. Hankins’ dream is to start a school that will train young people to spread the gospel message at home and abroad. 1906-07 – The Academy Building and first dormitory are built, and F.A. Page is hired to run the school, which opens to 29 students attending grades 1-9. Students sit on folding chairs and use their knees or orange crates to write on. 1911 – The first class graduates. 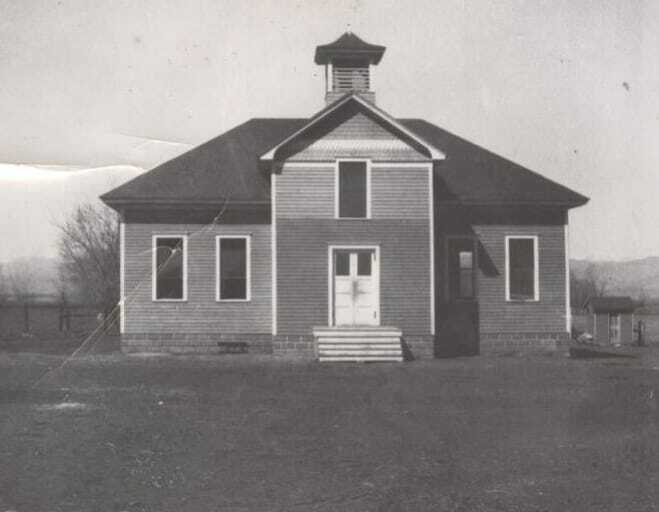 1912 – Initially known as Eastern Colorado Academy, locals called the school Campion Academy because it was located near the Campion railroad switch. In 1912, the name is officially adopted. Built in 1906, the Academy Building was the first structure on Campion's campus. Finished in 1907, the first dormitory housed girls on the first floor, boys on the second, and the kitchen and dining room in the basement. 1914 – Voice of Prophecy founder, H.M.S. Richards graduates from Campion. 1919 – fire destroys the Academy Building, leaving only a professor’s Bible and a large barrel of cooked cabbage (once sauerkraut) unharmed. 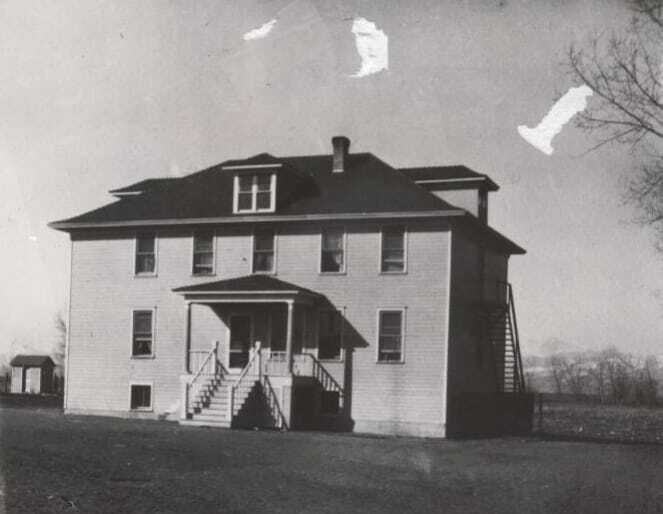 1920 – A new Administration Building, now Hankins Hall, is built to replace the one that burned. Grades 8-12 meet on the top floor, the chapel is on the first floor, and dining hall and kitchen are in the basement. 1928 – Campion’s monthly paper, The Rocky Mountain Academician, is renamed The Frontiersman. 1937 – Unable to house the 157 students enrolled for the year, Campion begins adding to the girls’ dorm and builds a new boys’ dorm. In spite of the Great Depression, the school is out of debt and staff housing is added to the campus. 1953 – Recreation at Campion gets a needed boost with the completion of a gymnasium able to hold 2000 people for graduations and church services as well as provide space for basketball, indoor hockey, gymnastics, and roller skating. 1959 – a milking parlor and a broom shop are in full operation, providing students with jobs to help them pay tuition. Silver State Plastics (1960), Harris Pine Mills (1962), and Rhodes Baken N Serve (1966) industries soon follow. 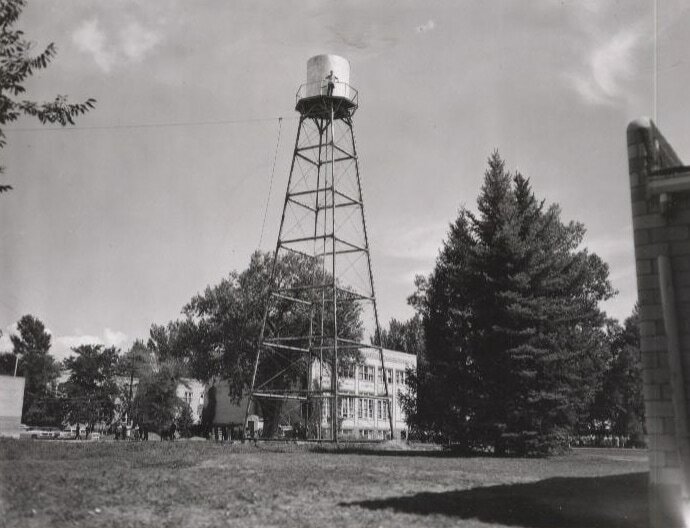 A longtime landmark, bulletin board, and climbing challenge until 1963, the water tower gets a funeral service to remember its significance to the campus. 1979 – The academy’s constituency votes $1 million toward a new girls’ dorm, which is the one currently standing today. ​2012 -- Hankins Hall is renovated and expanded to include an entry tower and the Mimi Gregg-Danihel Alumni Center. 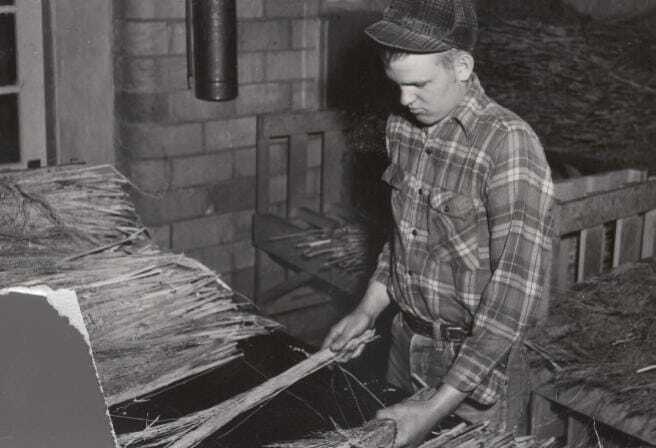 From 1947, the Loveland Broom Company industry grew from $15,000 in gross annual sales to $1.7 million in 1984. Many student employees helped pay their tuition this way. 1961 – The Alumni Association is formed, supporting the school through the worthy student fund and special projects for years to come. 1963 – Bursting at the seams again, Campion breaks ground for a new Administration Building in order to provide classroom space for its 339 students. In order to build, the old water tower and Annex building have to come down. 1968 – Work is completed on the 3-story boys’ dorm, a $500,000 project that provided 47 dormitory rooms, a dean’s apartment, first-floor kitchen, and 350-person dining area. The following year, students raise money and work to complete a student center in the basement of Hankins Hall. 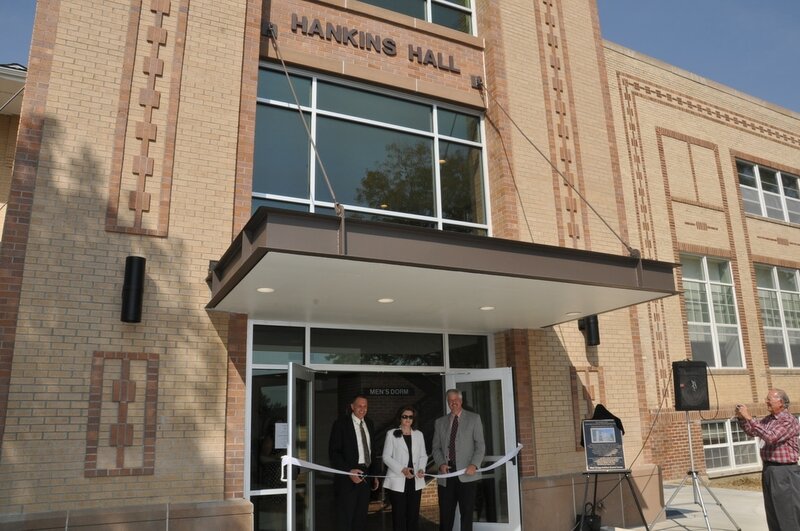 John Winslow (principal 2005-2012), Mimi Gregg-Danihel (class of '63), and Spencer Hannah (principal 2012-2015) cut the ribbon into Hankins Hall's new entry tower. Information for this page was adapted from Mary Hedger's (class of '60) A Dream Come True: The Story of Campion Academy.